A creamy foundation for deep skin tones with warm undertones. A creamy foundation for medium deep skin tones with gold undertones that gives a nourishing, buildable coverage you desire with a weightless, fresh finish. A creamy foundation for light skin tones with neutral to light olive undertones. A creamy foundation for light skin tones with neutral undertones. A creamy foundation for medium tan skin tones with warm golden undertones that gives a nourishing, buildable coverage you desire with a weightless, fresh finish. A creamy foundation for medium skin tones with neutral to olive undertones. A creamy foundation for medium light skin tones with neutral undertones that gives a nourishing, buildable coverage you desire with a weightless, fresh finish. 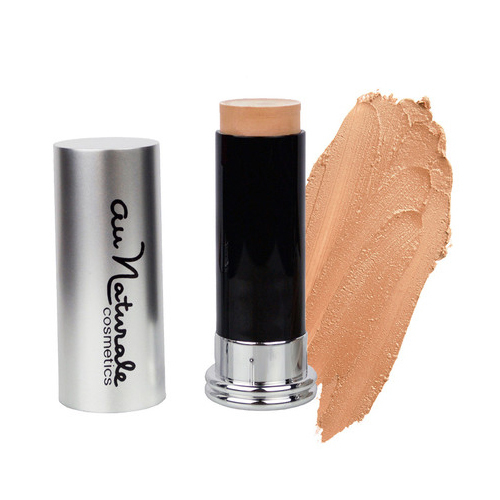 A creamy foundation for light to medium skin tones with neutral undertones. A creamy foundation for the fairest skin tones with neutral to cool undertones. Flawless, nourishing creme foundation formulated to provide extraordinary coverage with a weightless, fresh finish. Our organic creme foundation couples pure pigments and organic oils to give you the nourishing, buildable coverage you want with a weightless, fresh finish. Formulated without gluten, parabens, fillers, animal by-products, synthetic preservatives or toxins, our organic creme foundation is 100% natural, cruelty-free and vegan. *Older version of Zero Gravity C2P Foundation. Organic Limnanthes Alba (Meadowfoam) Seed Oil, Caprylic/Capric Triglyceride, Organic Ricinus Communis (Castor) Seed Oil, Euphorbia Cerifera (Candelilla) Wax, Organic Simmondsia Chinensis (Jojoba) Seed Oil, Ricinus Communis (Castor) Seed Wax, Organic Lavandula Officinalis (Lavender) Oil, Manihot Esculenta (Tapioca) Root Starch, Titanium Dioxide, Iron Oxide, Mica. • Apply to clean skin directly from applicator and blend with fingertips. • Buildable coverage. It's as easy and portable as that! I was in love with a high-end stick foundation that I used to purchase from Sephora. In time, the product made me breakout! In my efforts to find a similar product that is "clean," I discovered this foundation. Organic, clean. medium to full coverage that is buildable. My skin type is sensitive/dry.